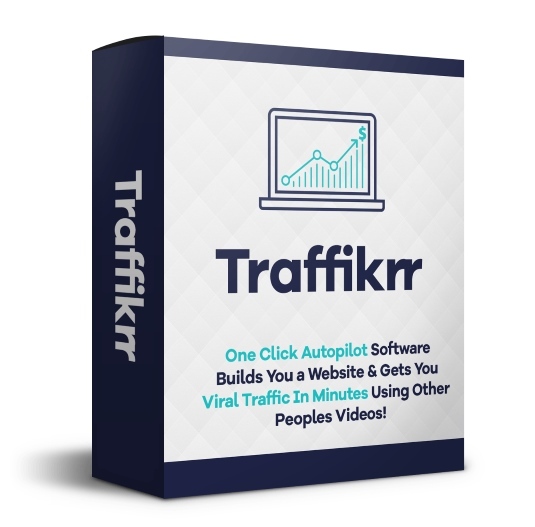 Traffikrr Review + Bonus - One Click Viral Traffic In Minutes? This is my full review of Traffikrr by Glynn Kosky and Ariel Sanders. Glynn has a great reputation of releasing quality products, and I went into this expecting more of that same quality. This is actually the first product of his that I’m reviewing on my blog, so we’ll see how it goes. It’s worth mentioning that unlike a lot of other people out there that are reviewing Traffikrr, I’m not doing so just to funnel traffic to some other offer I’m an affiliate for that I claim is “better”. I am an affiliate for just about all of the products I review, I don’t have an ulterior motive, and most of the time I’ve used the product before writing about it. This is a 100% honest and objective review of the software. Bonuses: I’m offering a package of outstanding bonuses that I think are a fantastic complement to Traffikrr. These are not You’ll get these bonuses absolutely free if you decide to grab the product through my link on this page. You can scroll down to the bottom of the review to get a description of each of them! Summary: Traffikrr is a neat little WordPress plugin that automatically posts YouTube videos that have a good chance of going viral to your website and social media pages. Over time it builds your social following, brings traffic to your website and makes you money through many monetization methods. 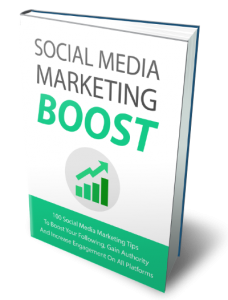 If you already have a substantial social media following (particularly on Facebook) or get a steady flow of traffic to your website, I recommend you give this a try. Even if you don’t have either of the aforementioned, Traffikrr will help you build your social media following and website traffic, with the potential for explosive growth if you post a video that truly goes viral. Traffikrr is currently at a very low early bird price point, so take advantage of it while it lasts. Traffikrr is a powerful WordPress plugin that will build you a viral “money site” in minutes on complete autopilot filled with content and videos direct from YouTube. This can be done in practically any niche. The plugin will automatically search, at regular intervals, for new videos on YouTube channels you select, and then automatically post to your website according to criteria you specify. The plugin will create a new post with the video, optional content before or after, and also post the video to your Facebook fan page all at the same time. More social networking sites are currently being added to the plugin. Traffikrr is a WordPress plugin and thus requires a WordPress installation in order to function. The installation of the plugin itself only takes a couple seconds, and it’s completely newbie-friendly. having ads displayed on the videos that are posted to your site. These ads can appear at any minute during playback. 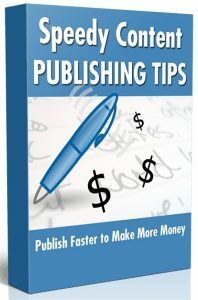 placing affiliate links on your site. placing Google AdSense adverts on your site. Traffikrr also affords a very easy way to pump out viral content to your Facebook fan page on autopilot; this will grow your following and allow you to monetize on Facebook (and other social networks down the road) as well. As you probably know, a great way to monetize Facebook fan pages is to place affiliate links with lead capture pages. Traffikrr’s auto-search and auto-post features allow you to get an edge on your competition by posting the best, hottest content to your sites and social media profiles before anyone else. What is the structure of Traffikrr? Traffikrr is compatible with Microsoft Edge, Google Chrome, Mozilla Firefox, Opera and Safari. OTO 1 ($47 or $37 on the downsell) – with this you get the Gold version of the software. This is an additional plugin that allows you to put opt-in overlays onto the videos on your site. It also includes proven-to-convert call to action buttons that you can place on top of videos. This offer alone will allow you to leverage Traffikrr to build your email list. 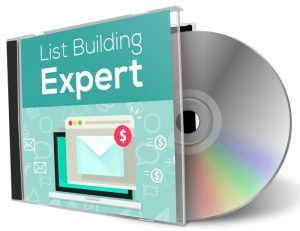 Listbuilding, as I’m sure you know, is very important in online marketing, and I would seriously consider this as you’ll be able to build your list on autopilot. This theme can help increase your conversions on your website, but it’s up to you whether you want to pick this up or not. a full length video series detailing how to use Traffikrr in various ways, with a full installation guide, etc. There’s a lot of value here, and if you think this is something you’d want I would get it at the downsell price. You should think about picking this up if you plan to send paid traffic to the Traffikrr offer and make a bunch of sales. You’ll be able to keep 100% of the proceeds throughout the entire funnel, which can make a huge different in your profits at the end of the day. This is a bit on the expensive side when it comes to license rights, so remember to purchase the downsell. OTO 5 ($97 or $47/month recurring) – with this you get done-for-you traffic. You will get the chance to buy traffic directly from the product creators, who will provide you will two different package options. The traffic can be sent to any link you wish. I believe this might be solo ad traffic, which is excellent, valuable traffic in the make money online niche. I would suggest signing up for this, testing their traffic and seeing if it’s worthwhile. If it’s not, you can always unsubscribe from the service. the last step — find out inside! SlideShare is a slide hosting service acquired by LinkedIn in 2012. It allows users to upload files (PowerPoint, PDF, Keynote, or OpenDocument presentations) either privately or publicly. The slide decks can then be viewed on the site itself or can be embedded on other sites. Just as YouTube allows users to upload and share videos, SlideShare allows users to upload and share slideshows. SlideShare is a great opportunity to supplement the traffic Traffikrr brings in for you. I would normally charge for these value-packed bonuses (particularly the second one, which is a full plugin), but you’ll be able to get all of them absolutely free if you grab Traffikrr through my link. Traffikrr is a nice little plugin that will enable you to pull in fresh viral videos on YouTube onto your website and your social media pages on complete autopilot. It can be very useful for those who run a blog that already gets a steady flow of traffic, or for people who already have substantial social media followings on Facebook and the like. Not having either of those diminishes the usefulness of this plugin. What I would suggest is building a network of at least a few hundred contacts in your niche on Facebook (which is not hard — just friend request a bunch of relevant people), and getting traffic through the Facebook posts that Traffikrr makes. The primary appeal of this plugin is the fact that, aside from the initial setup, everything runs on autopilot; it’s effectively set-and-forget in that sense. At the same time, it’s likely that not every video uploaded onto the YouTube channel that you select will be viral material or even relevant to your niche, and such videos would bring little or no traffic back to your website. Through all the marketing and hypey rhetoric on the sales page, all Traffikrr really does is post videos from YouTube channels of your choice onto your blog and social media pages, as well as allow you to overlay your own ads on those videos. With that said, this can indeed get you traffic and sales. Again, it runs on autopilot once it’s set up — once you find some good YouTube channels and choose your monetization method, Traffikrr will work 24/7 to grow your social followings, get traffic to your site and make you money. I hope you found my review of Traffikrr informative and helpful. See my summary and rating of the product below. If you have any questions, feedback or comments, feel free to leave them in the comment section! Prev Commission Bullseye Review + Bonus – Double Commissions Instantly?